What a way to cheer up a rainy bank holiday monday…. we had a little select gathering for our bank holiday session yesterday…it was not an evening for venturing outdoors as the relentless rain i imagine kept people in! i am always pleased that people come to play their uke come rain or shine….and i hope people left feeling a little more sunny! i certainly did. i owe some of you an apology. i said i wasn’t going to do a new song. i lied. we started looking at wild mountain thyme. i LOVE this song…i haven’t heard many recordings of it besides the byrds version….i only really know it through hearing my dad, stepmum and their friends playing it at folk things or impromptu sing-a-longs after last orders has been called. so i can imagine that people may notice that i have created a lyrical hybrid of this song as so many versions exist of it. 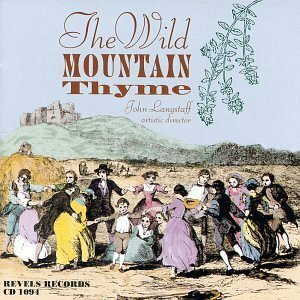 wild mountain thyme was written by northern irish singer francis mcpeake, but it is based on an scottish song the braes of balquhidder by robert tannahill (1774-1810). it is generally thought that mcpeake knew about the scottish song and developed the melody and lyrics to create what we know as wild mountain thyme. anyway, it’s lovely. and it presents us with a new chord to get our heads round (Em)! we had a good practise round and round changing from F, Em to Am and it sounded lovely by the end. check out the sheet music here WILD MOUNTAIN THYME lyrics and chords. if i get my voice back to normal soon i will post a little demo of it too. hope to see you next week and keep practising! 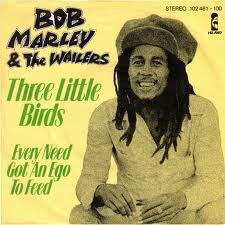 we did some really good work consolidating THREE LITTLE BIRDS and MR TAMBOURINE MAN (Chords + Lyrics) this week. we really concentrated on the lead parts making the songs come alive. i couldn’t believe how quickly the time passed on monday – but the progress made in that short time was amazing. it really is great to see people having a go at the lead parts and pushing themselves to improve skills. so next monday is bank holiday and we will be meeting up as usual…and going for a pint after too! don’t forget to bring a blue (any shade) t-shirt/top (cotton/not shiny) if you want to get an official OUO logo for our next performance! not only are we going to sound amazing but we are going to look HOT too! If we’re honest, no one likes returning home after an amazing holiday (it WAS sunny in the Lake District!) but i couldn’t wait to get back to the OUO and have a sing and play with everyone! Although we were less in number last night, we made up for it in enthusiasm and gusto! i thought it was incredible revisiting some of the songs we haven’t looked at in a while and noticing how much we have improved as a group. people were even enjoying (i think) concentrating on those pesky lead ukulele parts i keep pushing. We had a little look at The Byrds’version of Mr Tambourine Man (now in a better key to sing and using chords we already know). We looked at the introduction lead part and at the chord progression too. i have done a little demo (vocal effects courtesy of Mr B who insisted on adding some 60’s style delay to my vocal – i think it sounds a bit like i am singing down a well) so you can get a feel for the strumming (find the chords here MR TAMBOURINE MAN (Chords + Lyrics)), singing (there is a femal vocal harmony on the refrain) and the 2 lead parts (see tab here MR TAMBOURINE MAN (Tab)) but anyway have a listen to my version by clicking here TAMBOURINE MAN MP3. hope you like it! 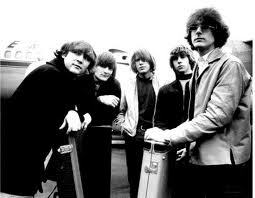 …mr tambourine man play a song for me! my idea for this arrangement (i went for the byrds version!) was that we could try a 3 part ukulele arrangement and 2 part vocal. we didn’t have time to explore all these parts on monday but made really good progress on the introduction and the main chord progression for the song. i don’t think this is too ambitious as we are sounding better and better every week! give us a shout if you have any queries/questions/comments/suggestions!